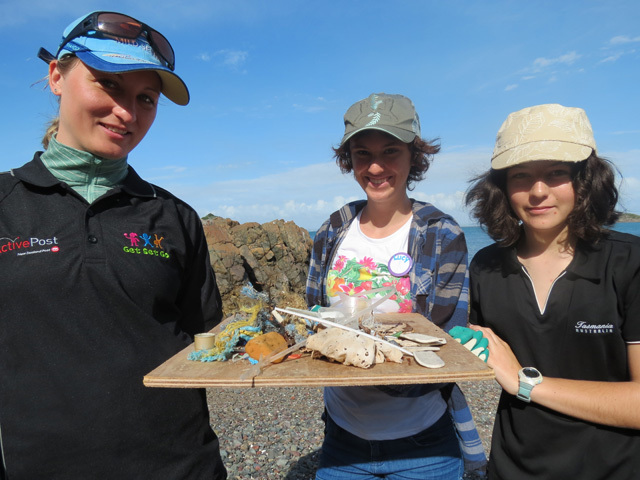 Volunteers with the Motutapu Island Restoration Project share their experiences volunteering for conservation in the Hauraki Gulf. 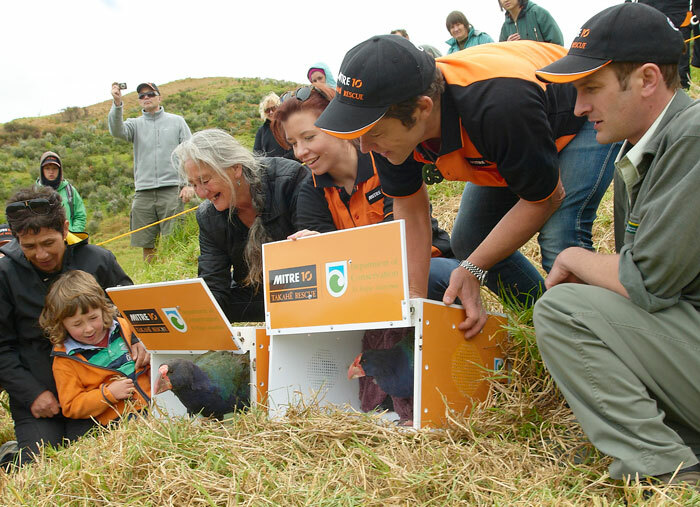 Last Thursday 20 pāteke—New Zealand’s rarest ducks—were released on pest-free Motutapu island in the heart of Auckland. 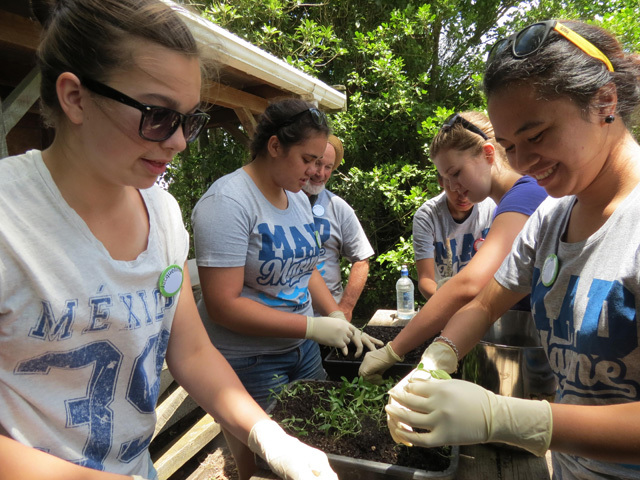 After humble beginnings in January 2009 with only 22 Auckland youth, this year, MAD (Make A Difference) Marine launched its 5th year with a record 48 secondary school students from 25 schools across Auckland. The three day leadership hui held on pest-free Motutapu Island kicked off city-side, at the Voyager Maritime Museum, with a welcome and blessing from iwi, a presentation by marine guru Roger Grace, and a talk about marine rubbish from Sustainable Coastlines. 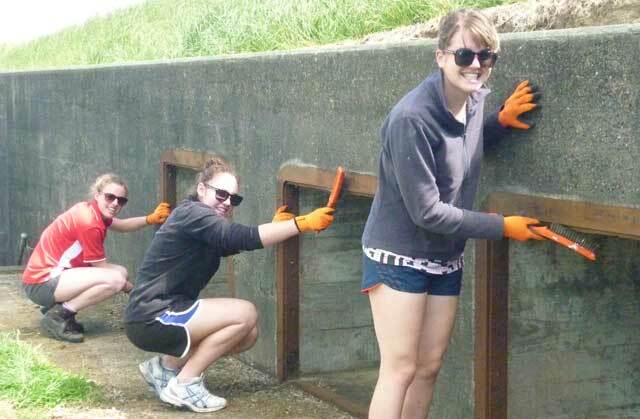 The students explored nearby city streets to identify and photograph rubbish-filled drains. 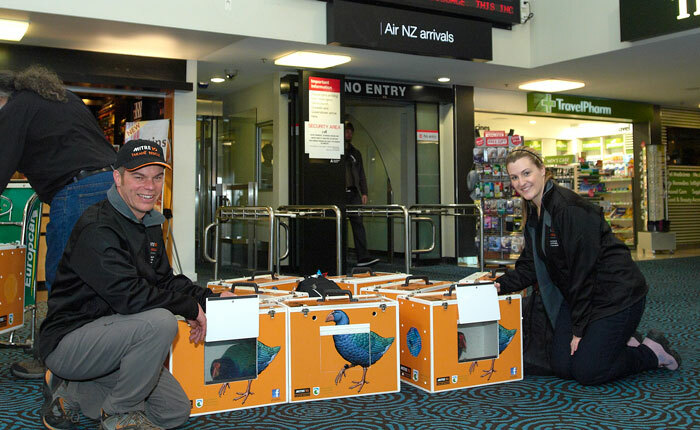 Once all the gear and food had been inspected for potential stowaways, we set off for Rangitoto Island which is linked by a causeway to the much older, Motutapu Island. 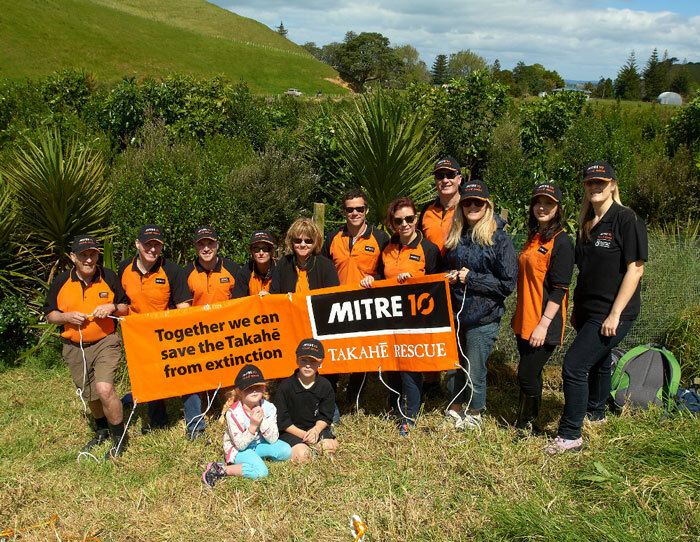 On arrival, we walked in the sunshine to Motutapu Restoration Trust’s (MRT) nursery where students carried out various tasks to help the Trust. Later, at our base (the Motutapu Outdoor Education Camp), there were presentations about marine mammals and ecological restoration on the island, followed by a night walk to see the freshwater ecology. Day two began with a dawn walk up the hill to the WWII battery, and after breakfast, a beach clean-up led by the Watercare Harbour Clean Up Trust. The groups really began to bond with each other and the natural environment during the rocky shore id session … “Aaah look at that tiny cushion star … There’s a cat’s eye … Do you see the half crab? … Who wants to hold the kina? … Can you feel its tube feet?”. Kayaking proved to be challenging for some students but they determinedly overcame their fears. 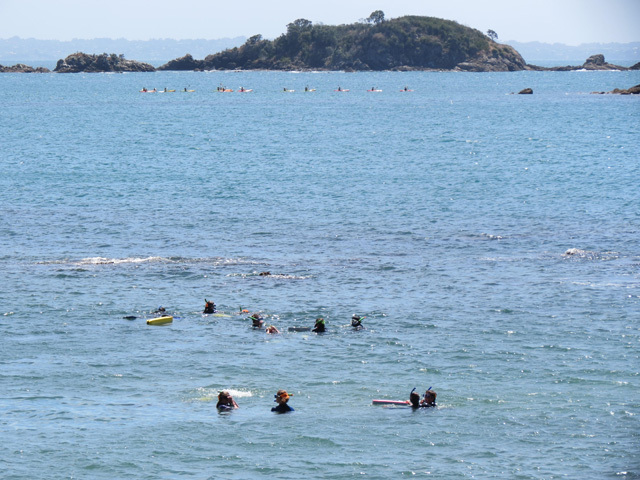 Snorkeling in the bay’s unofficial marine reserve revealed an underwater world that was less familiar but full of surprises—snapper up close. 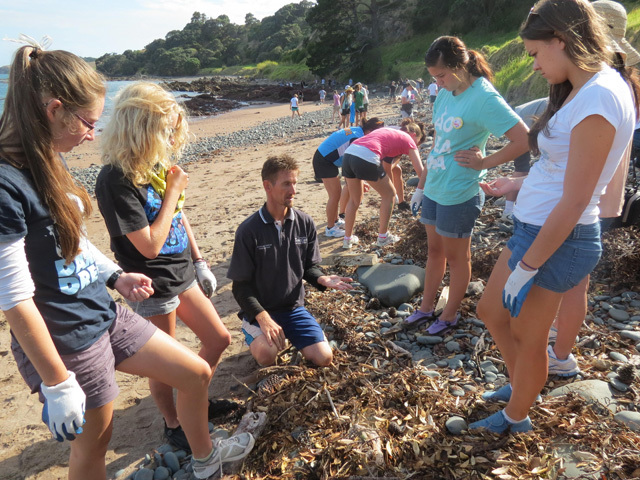 Auckland Council’s Waicare team introduced some science and the marine planning session encouraged student’s creativity. In the evening, student leaders inspired everyone with the actions they had taken in their schools and communities, outlining the support they experienced, and the barriers they faced and overcame to “make a difference”. Did we mention the food? 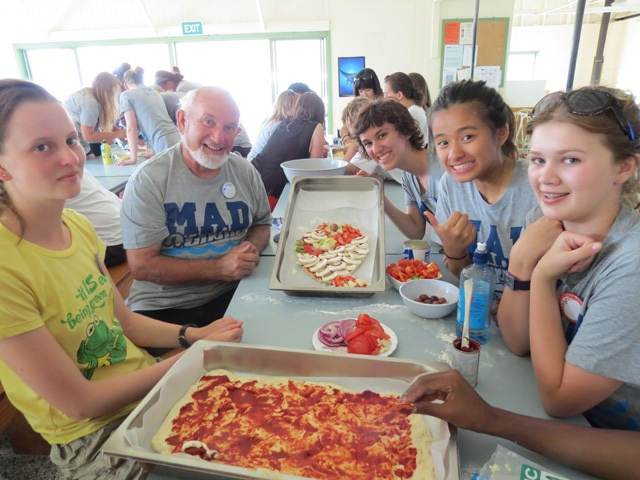 Each year, with great leadership from Cate Jessep Auckland Council, we provide food from scratch, with the help of the students. There’s pizza, French bread, pasta, sushi, salad dressings, stewed plums and biscuits! On the summit of Rangitoto, students looked across to the city and contemplated their actions for 2013. 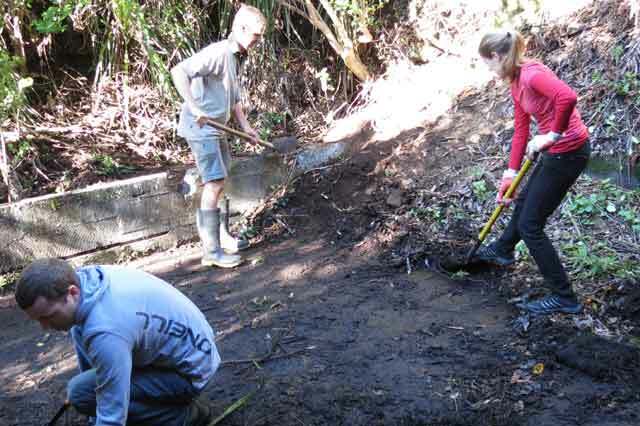 Back down the hill, Marian from the Rangitoto Island Historic Conservation Trust shared a glimpse of a simpler time, showing students the (award winning) restored Bach 38 museum; how people connected with the land, re-used and salvaged materials to build these humble baches that are now an icon. After hilarious skits from each group we journeyed home exhausted and inspired. One student kicked off her actions the following day with this blog – Ignore that jellyfish costume! One student’s article was even published in Element Magazine. “It was such an inspiring atmosphere to be amongst. Being surrounded by such motivated and change-making adults as well as young people made me feel a great sense of hope for years to come. “In a society that focuses so much on the negative and so-called ‘dead-end’ state of the environment around us, it is refreshing to see people not only with the aspirations to make a change, but the motivation to follow through. Please accept our thanks for providing such a fun and educational excursion. It sounded like it was full on but my daughter returned home with a fresh and perceptive understanding of why it is so important to look after the waterways. The challenge for students who attend MAD Marine is to take their learning and inspiration back to their schools and communities and “make a difference”. This is just the start of the journey, which is ongoing—with catch up events planned each school holiday where students share knowledge successes and challenges with each other, and participate in another volunteer event. 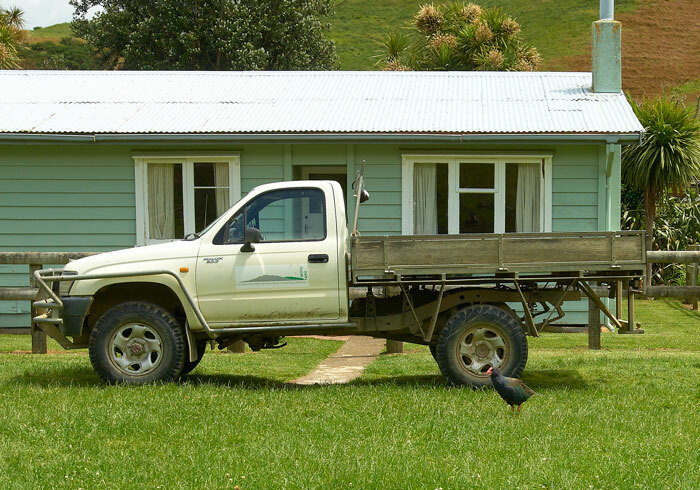 MAD Marine is a partnership between DOC and the Auckland Council. 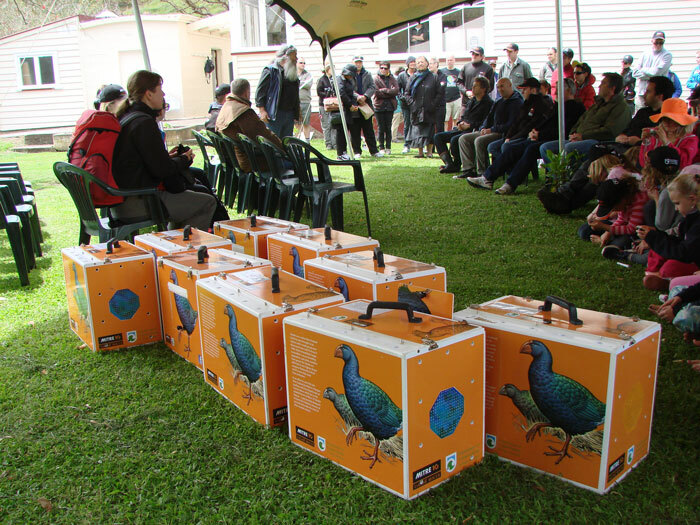 We share the enormous amount of planning and resourcing that makes this annual event such a success.